One of the victims of the traffic collision which took place on Boduthakurufaanu Magu, near the Male’ Industrial Village, in the early hours of last Tuesday is in intensive care. The collision took place between two motorcycles at approximately 12:50 am. Four people were injured in the accident and the two motorcycle involved in the collision suffered extensive damage. Three of the victims have been released after treatment, and one of the victims who suffered serious injuries is being treated at the Intensive Care Unit of the ADK Hospital. “Sun” has been unable to gather information on the extent of his injuries. 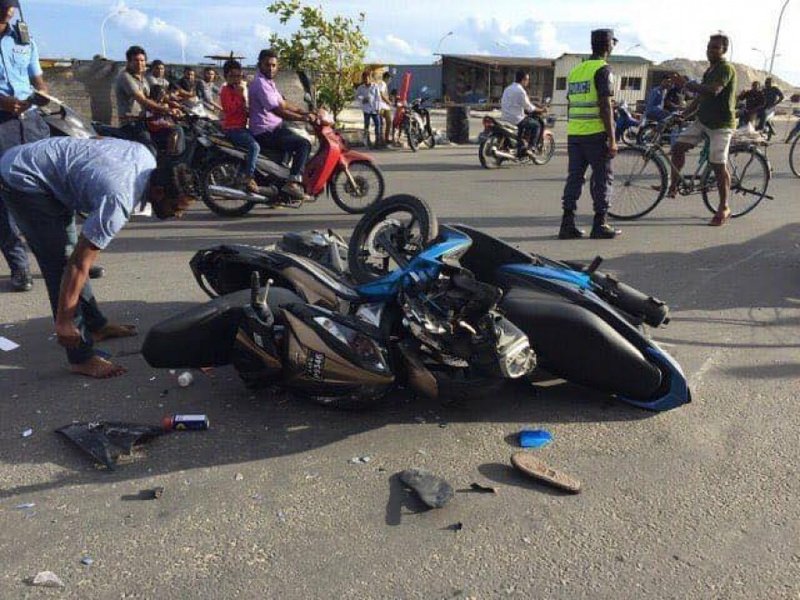 Maldives Police Service says the collision is under investigation by the authority.